Illustrated books can make wonderful gifts for kids of all ages, as illustrated maps are very original and unexpected gift for adults. Older kids can appreciate the beauty of detailed illustrations, and for the little ones a personalized story and some bright and bold pictures is sure to delight. Illustrated books or booklets can be a good way to get reluctant readers to pay a little more attention, too. 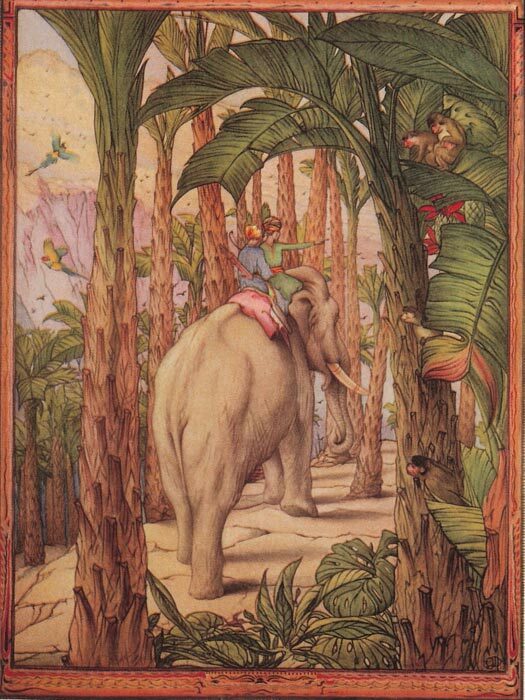 Introduce your kids to the wonders of stories such as Arabian Nights and Alice in Wonderland with illustrated versions that bring the exotic worlds and strange characters to life. Folio Books publishes some lovely versions of the old classics, in a collectible hardcover format. A new, independent company called Your Very Own Story makes unique stories for younger children. 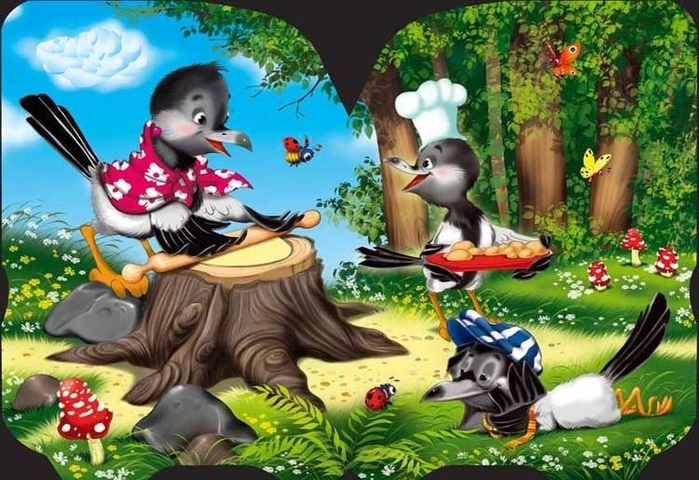 These custom-printed books are full of lively illustrations, and the buyer can choose the name of the hero and the hero’s friend, as well as where they live, so your child gets to be the main character in the book. Illustrated books don’t have to be ‘kid’s stories’, either. Graphic novels have a universal appeal, with even jaded teenagers and mature adults appreciating the art style, and the stories. Manga can come in a range of forms – from childish romance to mature and gritty stories, and comic books cover the whole spectrum too. Even decorated science fiction authors, such as Cory Doctorow, are getting involved with graphic novels today – and those stories are well worth introducing your teenagers too. They’re modern and something that your teens can relate to, but feature some complex morality that will be a good starting point for some important conversations – or just a starting point for getting your child to think about how their choices affect others, and how the other people on the Internet are real people – even if you can’t see them or don’t know much about them. We rarely give the gift of books these days, and that’s a big shame. E-readers and tablet PCs have made a lot of people switch to digital downloads, but there’s a charm to holding a real book in your hands, and that’s something that the younger generation are losing out on. Why not pick a beautiful and collectible illustrated book to give as a gift to a child you know, so they have something special to pass on to the next generation? Print on demand technologies are something that have earned a bad reputation in the world of traditional publishing, but as custom product design technology improves and the quality of on-demand printing presses increases, we have reached the stage where the physical product is almost indistinguishable with the kind of product produced by a traditional publisher – down to the quality of the binding. Today, services such as SoloPress or LiveArt Product Designer offer users the ability to print leaflets, brochures, flyers, illustrated maps, posters and catalogs that are high quality, professional, and a great representation of their brand, and design tools such as LucidPress put the power in the hands of the user thanks to their powerful templates and their easy-to-use product designers. As recently as a few years ago, designing booklets was a difficult task that required a fairly powerful computer. If you did not have a high end desktop, a graphics tablet, and a license for some expensive and hard to use publishing software, you simply would not be able to make professional looking layouts. Today, LucidPress and other similar services offer the same features via the power of cloud computing. They provide users with hundreds of templates to start working from, so anyone can create professional looking brochures and books. Users can even collaborate with others in the same company while creating their documents. This means that someone can hire a professional photographer or a freelance writer who can work on their area of expertise and submit their work directly into the document, while the person with the “vision” ties it all together. Alternatively, a proofreader can be sent the first draft, and make live edits. Of course, to prevent malicious users from ruining a person’s hard work, the cloud-based tool has a revision history, so mistakes can easily be reverted. Custom clothing editing tools have existed for a long time, but more sophisticated document editing is relatively new, however, this niche is rapidly growing, and is giving even small business owners the chance to invest building their brand in new ways. 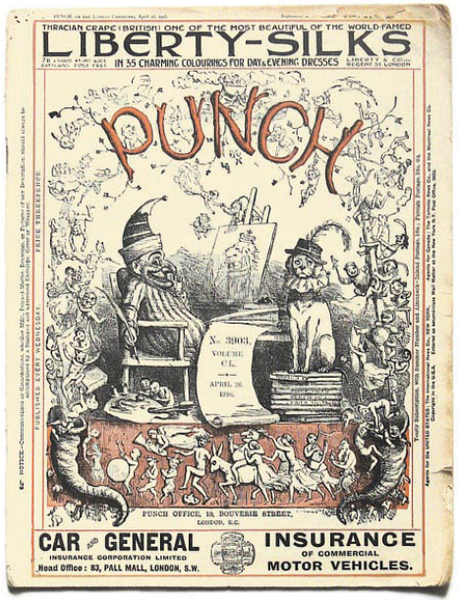 Punch was a weekly magazine published in Great Britain. The magazine was established in 1841, and was one of the most important satirical publications in the country for more than 100 years, even attracting followers from other countries. It is a real Pioneer of Cartoons. The magazine’s circulation peaked in the 1940s, before going into decline. In 1992 the magazine shut down briefly. Mohamed Al-Fayed made an abortive attempt to revive the magazine in 1996, but that attempt was unsuccessful and the magazine shut-down for good in 2002. The failure of the magazine can in many ways be attributed to the general difficulties of the magazine industry in today’s Internet-enabled world. Punch Magazine was originally subtitled “The London Charivari”, a tip-of-the-hat to a French magazine that had a lot of satirical content. The magazine took a long time to gain popularity, but eventually it became a regular feature in the homes of higher class Englishmen, who appreciated the sophisticated humour and the lack of blatantly offensive content. The magazine can be credited with building public appreciation for “cartoons” as a form of comedic drawing. The magazine was full of line drawings and sketches commenting on the big issues of the day. These sketches were made possible thanks to the availability of new mass-printing technologies. The readership of Punch included Charlotte Bronet, Queen Victoria, Emily Dickinson and Thomas Carlyle. The magazine is even credited with inspiring many new terms and phrases which are today considered a normal part of the English language. In the 1940s, Punch reached the dizzying heights of 180,000 readers. By the 1950s, however, sales had started to decline. The popularity of magazines such as Private Eye, which featured a balance of articles and illustrations, led to the magazine’s eventual demise. Mohamed Al-Fayed lost money trying to resurrect the magazine, and when he chose to cease publication, there were only 6,000 subscribers remaining. What Does a Scientific Illustrator Do? Have you ever wondered who creates those illustrations that appear in text books and on exam papers? Those illustrations aren’t just cobbled together by the text-book author. The author might create a quick sketch, or describe what the pictures in the book should look like, but they don’t usually make the final illustrations themselves. Authors are good with words; usually, an ability to write well is not accompanied by an ability to create clear, precise and attractive images. That is the domain of a scientific illustrator. Yes, in opposite to illustrated maps, Photo Illustration or t-shirt illustration creators, scientific illustration is a real job. Usually, scientific illustrators come from artistic backgrounds. They gravitate to scientific drawing because of the precise and clean nature of the work. Where traditional artists are encouraged to “draw big” and to express themselves by sacrificing accuracy in favour of “artistic license”, scientific illustrators favour realism above all else. 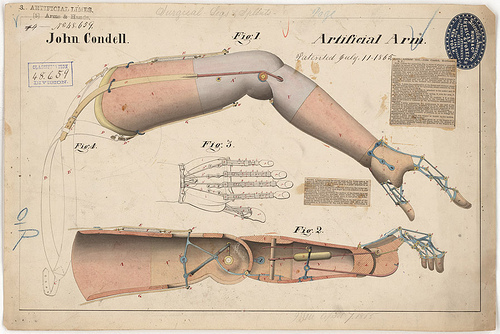 Usually, scientific illustrators work in paper and pencil, although some illustrators are moving towards creating digital works because of the ease of creating precise computer-created works. The charm of shaded, deep pencil-drawings still holds a lot of appeal for many illustrators. Getting started in any art career is difficult. Competition for places on art courses is fierce, and there are limited jobs available for graduates. The good news is that scientific drawing and law related art jobs are generally less desirable than traditional art jobs, perhaps because scientific illustrators are less well known and do not get highly publicised credit in the same way that creative artists do. 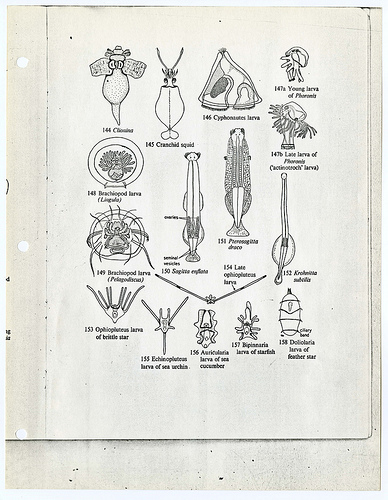 If you would like to get a job illustrating scientific texts, it is a good idea to get a solid grounding in science as well as learn how to create precise line drawings. There are no formal qualifications required, but a solid grounding in technical drawing will make it far easier for you to develop a strong portfolio. Cynthia Sheppard is a fantasy illustrator from Washington, D.C. she specializes in creating figurative art for video and tabletop games as well as books. She is able to create both digital works and oil paintings on paper and on boards. Sheppard is a talented artist, capable of creating both realistic and abstract works. She has had work published in ImagineFX and Spectrum 17, and has worked with Zynga, Sinister Adventures, and Wizards of The Coast. and the Bloodcrazed Neonate digital work. 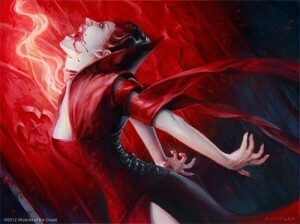 Her Magic: The Gathering card designs are some of the most popular ones in modern packs. Sheppard is a particularly fan-friendly and accessible artist. She frequently attends conventions to show off her work, give lectures, and meet fans. She even creates and shares videos of herself working, letting fans get a rare insight into the process of creating fantasy art. She is also an active blogger and can often be found sharing advice and tips with fellow artists online in various artistic communities. Despite being an experienced artist, she believes that it is important to keep learning. She takes classes in painting and digital art regularly in order to improve her work and learn more about how to tell a story using illustrations. 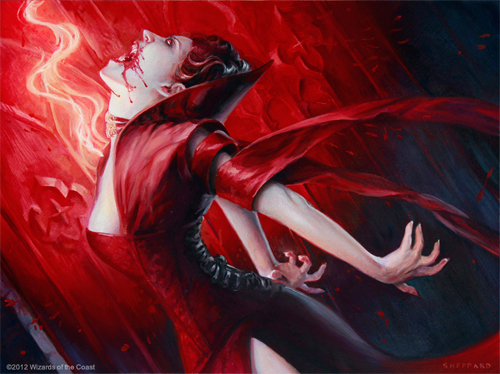 Fantasy art is a difficult niche, and Sheppard does a good job of creating powerful, bold images that evoke strong feelings without treading too far into the shock or gore qualities. She matches the tone and style of the universes that she works in well, handling angels, undead creatures such as zombies and vampires, and traditional fantasy creaures such as elves with equal ease. In 2013, Sheppard made an appearance at the IlluXCon 6 Weekend Salon in Allentown, PA.
Bill Martin Jr is best known for Brown Bear, Brown Bear, What Do You See? Martin wrote this book in just 15 minutes. It was published in 1967 and went on to become one of the most important and popular short children’s books in the world. Bill Martin Jr. was born in 1916 and died in 2004. Over the course of his career, Martin wrote more than 300 children’s books. He focuses on the text, and collaborates with illustrators to make cheerful, bold and colorful picture books. He attributes his rhythmic, almost song-like style to the way he creates his books. He said that he doesn’t “write” books, rather he talks them. In his own words, “I write a melody”. This is quite clear when you read his books out loud. They have a strong pace and clear rhythm that many other children’s stories lack. Martin had a lot of experience in working with children. He worked as a a schoolteacher and a principle as well as an author. This is impressive when you consider that he did not learn to read himself until he started college. He managed to keep his illiteracy a secret while he was at school, but his inability to read was found out as soon as he went to college. He learned quickly, however, and went on to successfully earned both a Master’s Degree and a Doctoral Degree in early childhood education. 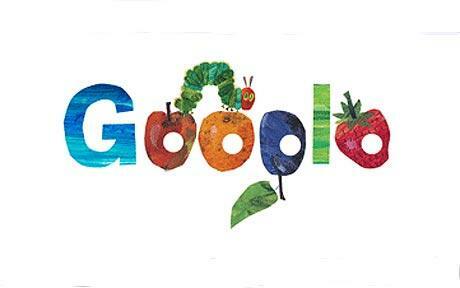 Eric Carle is a children’s illustrator, most famous for creating the Very Hungry Catterpillar – a book that captured the hearts of generations, and became so popular that even Google paid tribute to the book, making a Google Home Page image based on it to celebrate the book’s 40th anniversary. Carle was born in New York in 1929. He loved art from an early age, playing with paints from the moment he started kindergarten. Real Art actually is something different than illustrated maps. When he was six years old his parents moved back to Germany and he struggled to adjust to the rather different culture of German grade school. In many ways, he had a difficult childhood. When he was ten years old, World War II broke out and his father was drafted into the army and spent several years away from home. The neighborhood that Carle lived in was bombed. He was lucky enough, however, to be able to pursue his passion for art thanks to the support of one of his high school teachers. Carle graduated from art school in 1952, and decided to go back to America. He arrived in New York with an impressive portfolio that he had built up while studying in Stuttgart, but had just $40 to his name. Fortunately, he managed to get a job as a graphic designer for the New York Times. 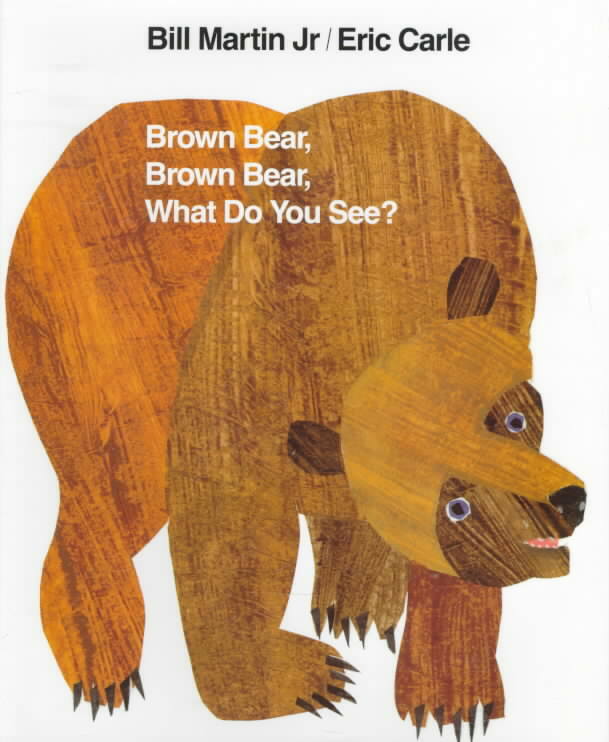 He later moved on to work for an advertising agency, and it was there that he was put in touch with Bill Martin Jr, who hired him to illustrate his children’s book: Brown Bear, Brown Bear, What do You See. Carle’s talent for children’s illustrations did not go un-noticed, and in 1969 he was able to get The Very Hungry Catterpillar published. This small title took the world by storm, and went on to be translated into 33 different languages. Over the next 40 years it sold more than 18 million copies around the world. In 2003, Carle was awarded the Laura Ingalls Wilder Lifetime Achievement award for his illustration work. 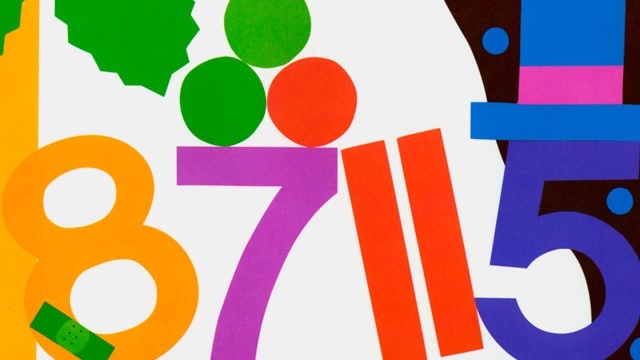 Lois Ehlert is a children’s books illustrator with a unique style. Instead of traditional line drawings and painted illustrations, she uses collage to create interesting and unusual designs. Her style is instantly recognizable and looks similar to some bright illustrated maps. She makes use of vivid colors, intricately cut pages and cleverly photographed collages to engage the eyes of her young readers and inspire them to try art for themselves. The process that Ehlert uses to create her boos is unusual. She cuts paper, textiles, thread, and even salvaged items that she finds when out walking, and glues them onto paper to create her designs. She then photographs them and uses the photographs to put together the final illustrations for her books. Ehlert comes from a creative background. Her father was a woodworker and her mother was a seamstress. She was frequently given leftover lumber and fabric, and enjoyed trying to turn these resources into creative projects. From an early age she favored bright colors and varied textures. With such a background it should be unsurprising that Ehlert decided to study art to a high level. She graduated from the Layton School of Art in Milwaukee, and went on to find a job in graphic design. She sought work as an illustrator for children’s books, but found that she did not enjoy illustrating other people’s stories. Eventually she decided that she might enjoy the work more if she wrote her own books. 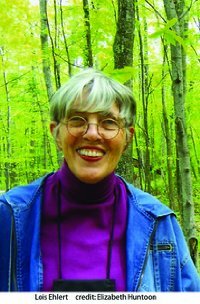 She wrote, designed and illustrated Color Zoo, and it was well received, winning the prestigious Caldecott Honor Award in 1990. Ehlert’s best known books are Leaf Man, In My World, Growing Vegetable Soup and Waiting for Wings. She has also collaborated on several projects, including Chicka Chicka Boom Boom, a book and CD based project aimed at teaching young children the alphabet through rhyme. 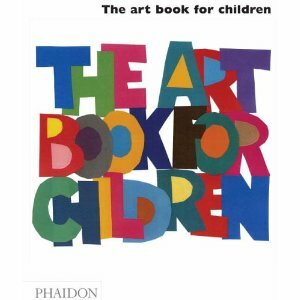 The Art Book for Children is a hard-backed book published by Phaidon. The book is an A to Z guide that covers thirty of the most interesting and important artists from throughout history. The book is a great introduction to the world of art and is suitable for children of all ages. Among the artists included in the book are Van Gogh, Rembrandt, Warhol, Turner and Velazquez. The book covers everything from the Mona Lisa to the American gothic. The authors selected works of art that they believed were historically significant, but would also be appealing to children. In addition to historic artists, a couple of more recent ones such as Donald Judd and Cindy Sherman have also been included. The book is aimed at children aged seven or older, and includes the work of painters, sculptors, engravers and even photographers. The book tries to remain age appropriate whilst still challenging readers to think about what art is, and how art can be expressed in different ways to evoke a response from the viewer. Throughout the book are suggestions for various activities for the reader to try so that they can learn what it is like to work with different materials and to explore different styles. The activities usually require only basic materials and can be done at home. Readers also learn about the history of the artists and the time that they lived in, as well as what inspired them to create the works included in the book. Btw the same regarding cartoons illustration and illustrated maps. While the book is aimed at older primary school children, the topics covered in the book are appropriate for a wide range of age groups and older children that appreciate art may still enjoy the title. Families will enjoy sitting down together and discussing the questions raised in each section. 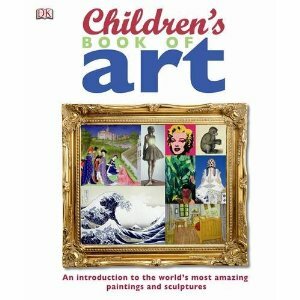 The Children’s Book of Art published by Dorling Kindersley is a hardcover title that aims to introduce children to the world of art. The book was published in 2009, and offers younger readers a look at the works produced by artists ranging from Andy Warhol to Michelangelo. In addition to showing children these amazing paintings, the book explains how the art was made, and what inspired the artists. It also suggests projects for children to try so that they can explore their own creative side. The book covers pop art, portraits, abstract works, impressionist art and more. The information contained in the book is well presented and easy for even young readers to understand. The book is 144 pages long, and offers a valuable insight into the works that it contains and the history behind each piece. This book is aimed at slightly older readers than Usborne’s similar title and explores a wider range of media and art styles. It is designed as a standalone title so you won’t find yourself being pushed to refer to the internet every few pages for more information. It would be a good gift for a child that is studying art at school, or one that would like to become an artist themselves. The projects are practical and sensible, and while you will need to buy some materials if your child wants to try them, they are not unreasonably intricate and don’t demand any obscure or difficult to purchase paints or materials. The book is well presented and the printing is high quality. Adults will enjoy looking at the prints, and may even learn something from the text too! This is a good title for the whole family to explore together, perhaps trying out some of the projects on a rainy holiday weekend.